EagleBurgmann Norway AS har manufactured and pressure-tested the Lynx for Dry Gas Seal application successfully at 330 bar. It will be deployed this September, marking the start of the first effective solution for protecting the extremely sensitive dry gas seal systems, regardless of brand or manufacturer. This is the type of disruptive innovaton that is possible when leading minds in the industry work together. The Lynx Dry Gas Seal was rapidly prototyped at the InnSep/NTNU laboratories in Trondheim and EagleBurgmann laboratories at Skedsmokorset, outside of Oslo. Datapoints from the STATOIL High Pressure testing in Rotvoll, Trondheim, were used to optimize the final design parameters. 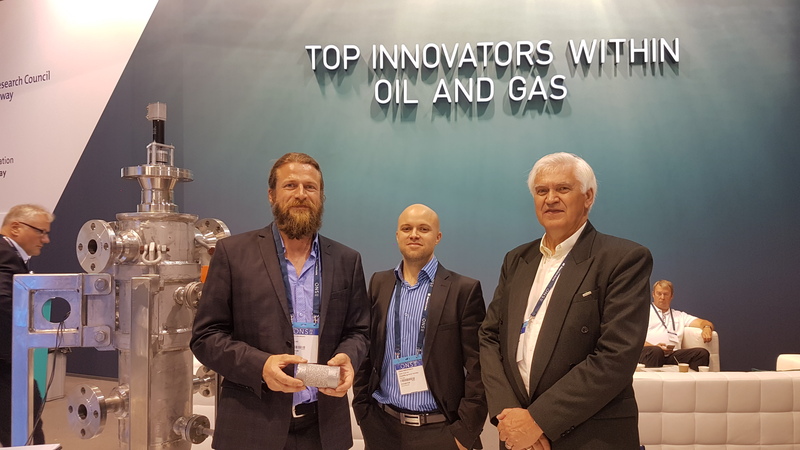 EagleBurgmann project managers Jon Baklien (right, picture), and Claes Wilhelmsson (midde, picture) regard rapid prototyping and deployment as a crucial service to the oil industry. With increasing maintenance costs, rising challenges of gas processing and more autonomous operations, efficient innovation processes are the critical element in securing plant integrity and operation stability for operators.